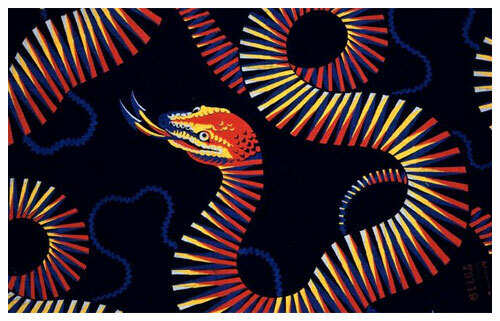 (a) Action at the MOOSLANER KOPF (Fig.2). 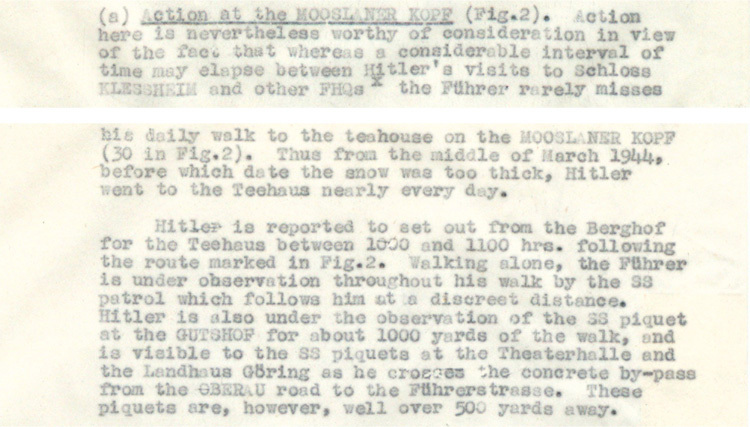 Action here is nevertheless worthy of consideration in view of the fact that whereas a considerable interval of time may elapse between Hitler’s visits to Schloss KLESSHEIM and other FHQs the Fuhrer rarely misses his daily walk to the teahouse on the MOOSLANER KOPF (30 in Fig.2). Thus from the middle of March 1944, before which date the snow was too thick, Hitler went to the Teehaus nearly every day. Hitler is reported to set out from the Berghof for the Teehaus between 1000 and 1100 hrs. following the route maked in Fig.2. Walking alone, the Fuhrer is under observation throughout his walk by the SS patrol which follows him at a discreet distance. Hitler is also under the observation of the SS piquet at the GUTSHOF for about 100 yards of the walk, and is visible to the SS piquets at the Theaterhalle and the Landhaus Goring as he crosses the concrete by-pass from the OBERAU road to the Fuhrerstrasse. These piquets are, however well over 500 yards away.